I read something like this often these days. My first reaction was giggling, because it sounded as evident as if someone claimed his char would not work for the money, but because she liked her employer so much. 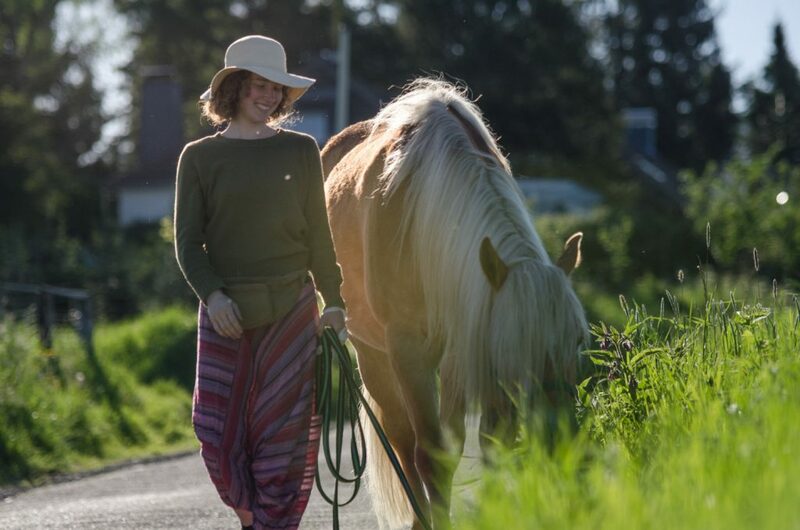 I never really got, why it seems to be so hard for horsepeople to give their horse some kind of appreciation for the work and effort they put in training. And furthermore: Training is only possible in the four quadrants of operant conditioning. In times of the “cognitive revolution”, where humans get awarded incredible mental abilities and even emotions and intuition get a scientific foundation, one could ask the question whether this image is still contemporary. When watching Nathan interacting with us, I recognize clearly that operant conditioning in its purest form: stimulus + reinforcement = behavior isn’t everything. I’d like to give you a concrete example with a situation that just occured recently and made me thinking. While we are outside for a walk with Nathan he is allowed to stop and graze whenever we give the signal for it. This works really fine, but the proceeding is not that easy unfortunately. As soon as his head is dropped in the grass, his mind is switched of. We already tried a lot. Giving a signal combined with treats and verbal praisal if he lifted his head. Also applying pressure to the rope and halter didn’t impress him much. In fact, he even faded us even more out. It felt as if he didn’t understand the language of conditioning. It couldn’t go on like this. But fortunately, Anni and me had suddenly a strong impulse to approach this topic differently. With the clear intention in mind to fulfill both our and Nathan’s needs while being outside for a walk, something happened that didn’t make any sense from the point of learning theory/ operant conditioning. Instead of pulling or alluring, intuition whispered something else to us. She told us to “take Nathan with us” – I think this is the best description I could give for this feeling. It wasn’t much more than a soft pluck on the rope, an imaginary gesture in the direction of his shoulder and the feeling of a strong connection between us – and Nathan lifted his head and trotted besides us with watchful ears. The same Nathan who wouldn’t move any inch even with full physical exertion the day before. Well, we neither graduated magically in clickertraining nor did we use exzessive physical violence. Still everything changed. I believe this is due to the fact the we’ve become experts. Not experts in the traditional sense, more like experts in “going for walks with Nathan”. Our subconscious can process around 50 millions bits of data while our conscious mind is only able to process 50 bits. A clear advantage for our intuition! We capture much more information than we consciously notice. We are all enormous collectors of data. And our subconscious stores all the data in all situations. It remembers everything that worked out and that didn’t work out when we were out for a walk with Nathan. It remembers Nathan’s mood in combination with the weather, which kind of grass is particularly lush and which kind of twitch in his muscles indicates that he is ready to move on. A flood of information that is simply too big for our conscious mind. That is the reason, why we like to put everything into drawers. It is easy, it is controllable and well sorted. I like – says the conscious mind. But our intuition only laughs about that. It was there, all the time. Collecting and processing data from our subconscious. It needed its time to think about the perfect solution, but eventually it renders a judgement. And suddenly there is this clear gut feeling, that we trust without doubt to show us the way. Sometimes we don’t need this elaborate plan to let things run like clockwork. Often our intuition is there long ago and shows us that this isn’t the right path. The solution isn’t rarely right before our eyes and often unexplicable. It isn’t what should work alongside some theories – but it fitted us and worked out wonderfully. 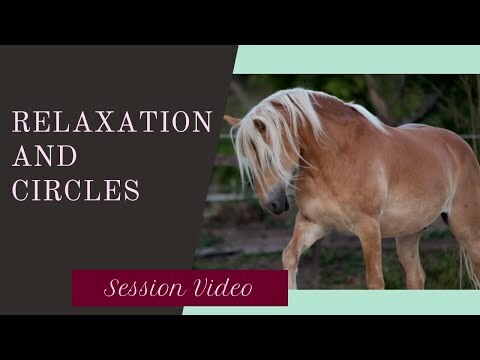 I believe we all can become experts for our horses through intuition. We don’t always need somebody else to tell us what is right and what is wrong. In many situations our intuition is already the pro that just waits to feed us with all the information we need. We just have to make room for the thought that this isn’t a magical gut feeling, but a hand-tight tool of intelligence. And maybe that blindly sticking to learning theory isn’t always the way to go.